Why use Serenity Calm Down Paste? 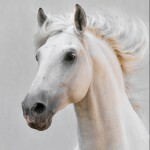 If you have a horse that gets a little bit over excited at competitions or doesn’t cope too well with stressful situations, Serenity Calm Down Paste could be the product for you. The oral paste is fast acting and should be dispensed into the mouth two hours before competition or stressful event. 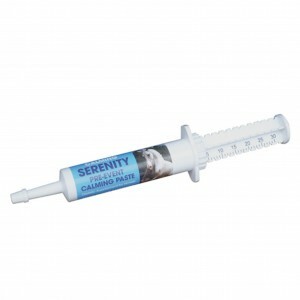 It’s easy to administer and can also be used in conjunction with our Serenity Ultra Calm + powder for very stressful situations, and very excitable horses. The paste contains magnesium in addition to B vitamins, passiflora incarnata, scutellaria laterfolia: labiatae and l-tryptophan. The formula has been created to act quickly and be easy to use. It’s supplied in single serving and double serving syringes, and prices start from £5.65. To find out more about Serenity Calm Down, have a look at our website.